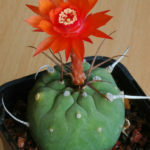 Matucana madisoniorum is a small, attractive, normally solitary, globose cactus that may clump with age. The stem is a flat globular to elongate with age, blue or grey-green, up to 6 inches (15 cm) tall and up to 4 inches (10 cm) in diameter. 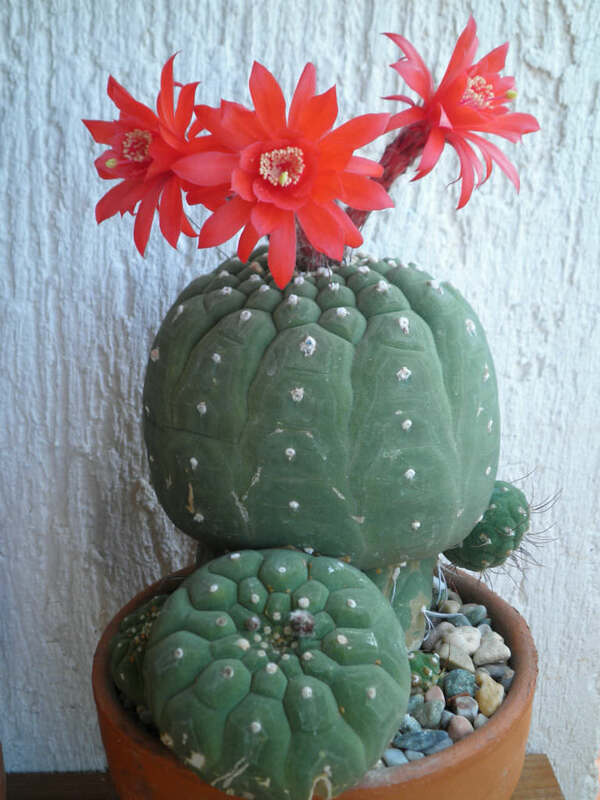 Sometimes individual plants may be almost entirely spineless. 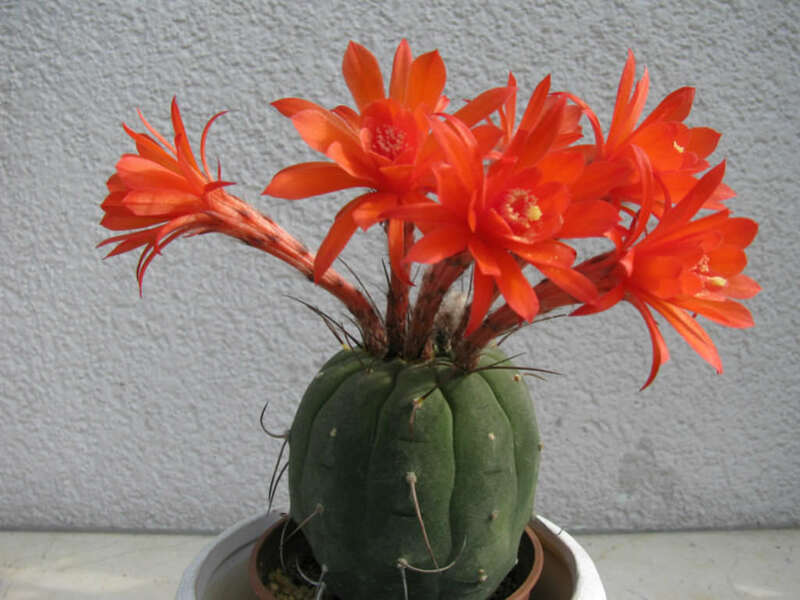 Flowers are bright orange-red with an almost fluorescent sheen, up to 1.4 inches (3.5 cm) in diameter and up to 8 inches (10 cm) long. The buds start as little white/grey furry balls. Flowers more than once in several flushes throughout the summer. 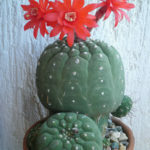 All species are sensitive to moisture. Watering should therefore be limited to the growing season and should be made only when the substrate is completely dry. It must be suspended during the winter. Since they tend to lose their roots in cold and wet, these plants must be kept warm even in winter. A temperature not under 50°F (10°C) is suitable. Some species, for natural adaptation, can resist at temperatures below 32°F (0°C). 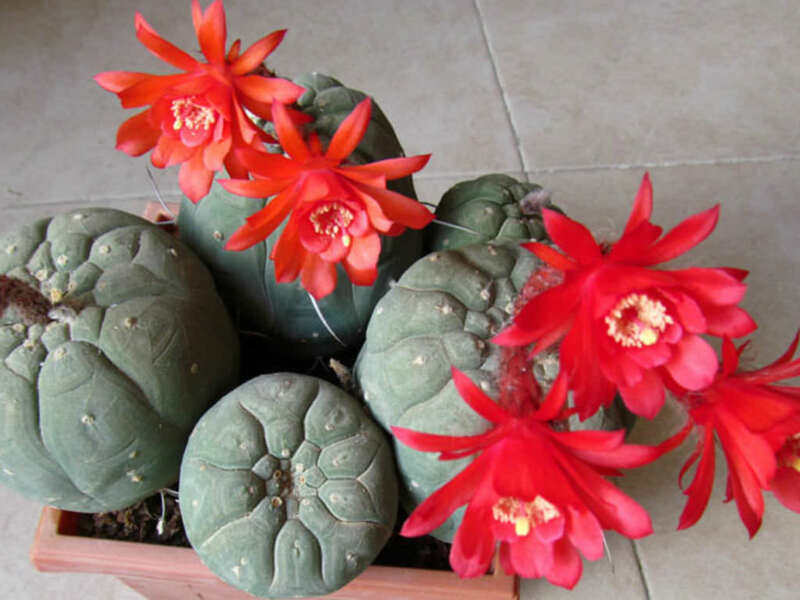 If the plants are in the vegetative stage and optimal environmental conditions (a low moisture content with substantial temperature swing between day and night is appreciated), the growth is quite fast and you can get blooms already after 2-3 years after birth. 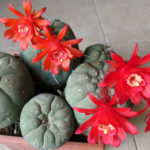 Matucana must be grown in a very porous and draining soil. It can be composed largely by sand, lapilli and gravel. To encourage the development of a dense network of spine, the quality of the nutrients in the substrate is very important. The soil must be rich in potassium, poor in nitrogen. 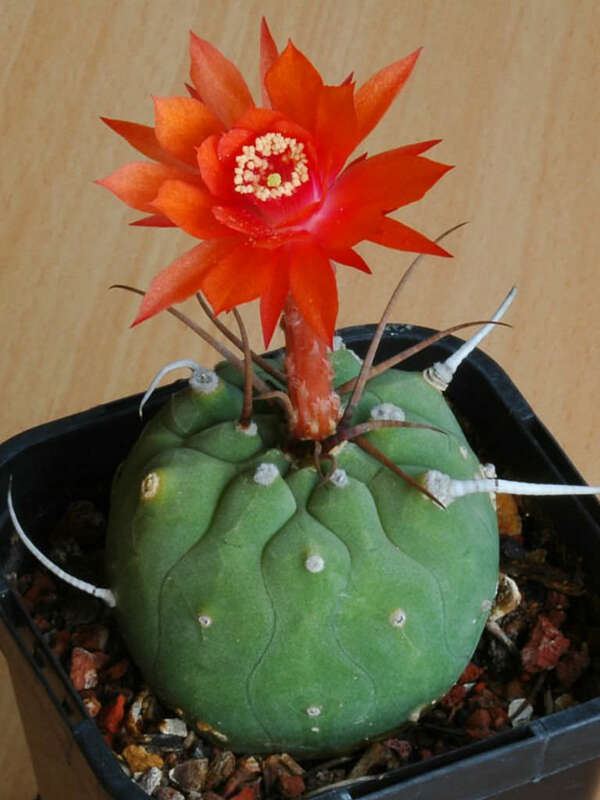 Since the roots are very delicate and subject to rot, the soil should be kept as dry as possible: do not forget that in their natural environment these plants grow in steep and inaccessible places… – See more at: How to Grow and Care for Matucana.